Summer is a great time for dogs. Warm weather, lots of sunshine, long days, and best of all, we are just as excited as the dogs are to be outside! Fortunately, there are a bunch of great products available to make summertime even enjoyable for our furry friends. 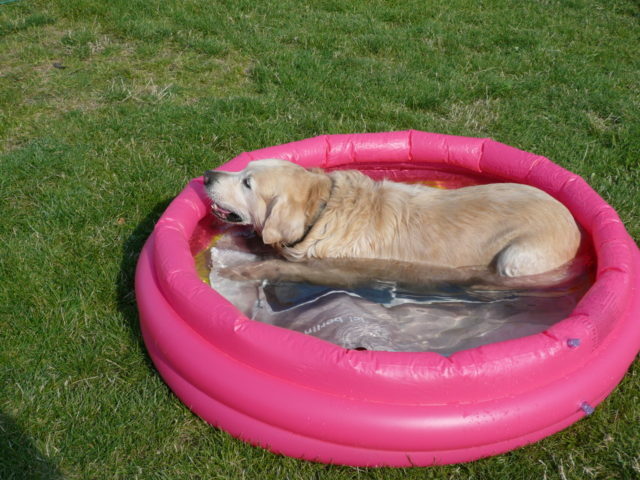 Some are just for fun, while others will help your dog stay more comfortable during the high temperatures. For starters, check out these 15 Tips For Safe Summer Fun With Your Dog! Squirt Ball – Every time your dog bites down on this dog toy, he is rewarded with a refreshing squirt of water. Cooling Bandana for Dogs – Not only stylish, but it holds plenty of water to help keep your dog cool and comfortable around the collar. Kot to Trot – Your dog can have his own puppy cabana by the pool! This colorful dog bed provides both shelter from the sun and elevation off the hard ground. 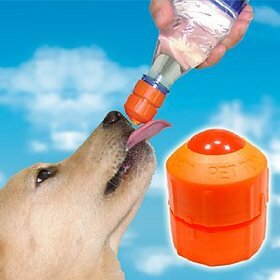 Pet Watering Lid – Just pop this lid on a regular water bottle and it’s a cinch to give your dog a drink of water on the go! You can adjust the flow of the water by turning the cap. DIY Frozen Dog Treats – When you break out the ice cream treats for the kids, bring your dog in on the fun! These frozen dog treats taste great and will refresh your dog on a hot summer day. Cage and Crate Cooling Fan – This battery-operated fan clips onto your dog’s crate door and provides a nice breeze when you travel. 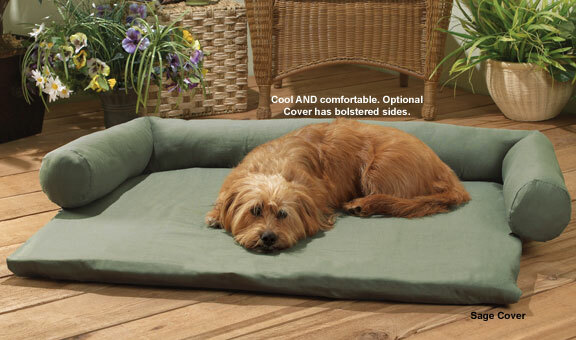 Cool Bed For Dogs – You know how cool a water bed feels in the summer. This dog bed is filled with water and provides the same level of comfort for your pet. Guardian Gear Dog Pool – Not too deep, and not too big. This one-of-a-kind doggie swimming pool is just the right size for your dog to enjoy playing in the water outdoors. It’s really durable too! 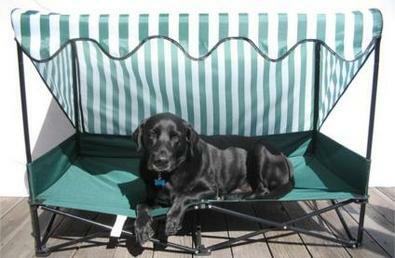 Cool Outdoor Dog Lounge Chair – This one’s for the classy pup who has everything. It provides a cool place for your dog to lounge while outside (…and looks great in the yard or on the porch!). Sunscreen For Dogs – Yes, dogs can get sunburned too! During long days outside, your dog needs protection from UV rays (especially on the ears, nose, and paws) just like humans do. Water Twister Dog Toy – Running and jumping off the dock into the lake or family swimming pool is a blast for dogs. 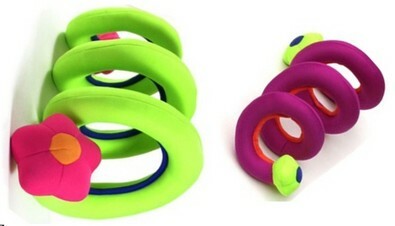 With this soft retrieval toy, the fun goes on for hours! 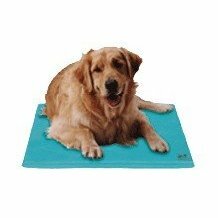 Body Cooling Pet Mat – Give your dog someplace cool to hang out, no matter where you are. These cooling pet mats are portable and easy to fill with water. Bottled Water For Dogs – For the pup who has everything, bottled water might be the next best thing! 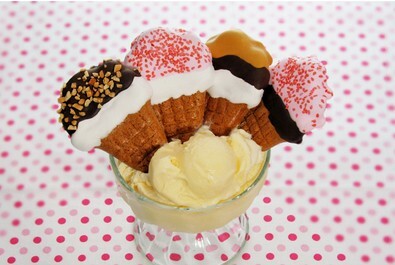 Kool Dogz Ice Treat Maker – As simple as freezing some toys and treats in a bucket of water. Watch how your dog works at that ice block to get at the treats! Outdoor Faucet Dog Water Fountain – Turn your backyard hose spigot into a source of fresh water for your dog! Check out all the fun summer dog toys at Healthy Pets!